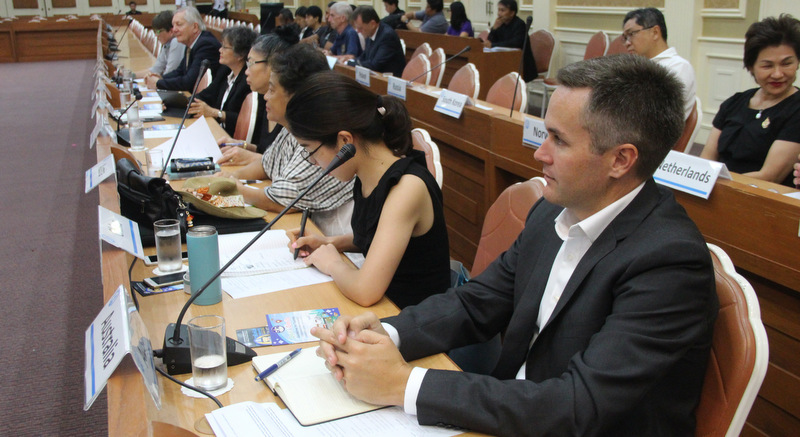 PHUKET: The return of the honorary consul meeting last week was welcome news, finally enabling the consuls and envoys on the island direct feedback about officials’ activities on the island. Also welcome was allowing the press to attend, a factor that previous incarnations of the same forum – under previous Governors – made access to supposedly public information a privilege. That said, at least that was better than canning the consul meetings entirely, which would be nothing new for this province under some of the provincial mandarins we’ve entertained. The Oct 30 annual reshuffle of government officials to posts upwards or sideways – but never downwards – is just around the corner. There have been rumours Gov Norraphat will be moved on, but such rumours circulate every year, usually arousing suspicion that the post is a lucrative one, but nearly always serving up the arrival of yet another top cat who will take months to learn even the basics about the important issues – and players – on the island. We also hope that the meetings become a forum for true change, with officials hearing the concerns of those representing the millions of tourists who feed this fantastic beast of an island’s tourism revenue, and the consuls returning with news of what is being done to address those problems. Issues raised in forums past include jet-ski thugs, taxi mafia, beach-operation corruption to tourists’ safety and rental operators demanding and holding tourists’ passports to trash and the ever-diminishing quality of the seawater tourists swim in. Just raising these issues with concerted public voice has yielded positive action – and even before May 2014 always with the support of the military. A word of warning, however: the meeting should not become a venue for sledging officials for inadequacies and inefficiencies, though there is no denying such issues should be raised, and publicly. For all who believe foreigners should voice their grievances to their hosts with sneering derision need only to ask themselves one question: When was the last time they were outright rude to someone and then expected that person to help them? It just doesn’t happen. Whilst the consul meetings have, at times over the years, appeared to produce actual results, I would argue that the emergence of social media has driven far more change than any meetings of committees of politicians ever have. It seems to only need one post to go "viral" before every official for miles is scrambling to be seen to be doing something about it. Second, why did you not tell which consuls were there, and what was they asked to communicate to the communities they are supposed to speak for?